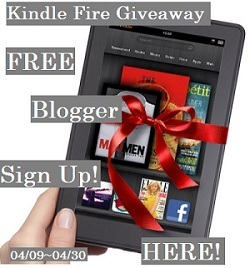 ATTENTION BLOGGERS: FREE Sign Ups for Kindle Fire Giveaway! Acadiana’s Thrifty Mom is hosting a giveaway for an Amazon Kindle Fire! It is absolutely free to sign up! This can be a great way to gain followers to your blog! This giveaway will go LIVE at 9:00 p.m. EST on April 9. You must have the giveaway posted no later than 9:00 a.m. EST on April 10 in order to stay on the rafflecopter. « ATTENTION BLOGGERS: Wholly Guacamole It’s a Giveaway Hop Sign-Ups Close Sunday!